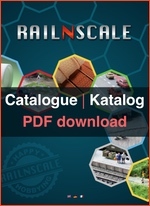 RAILNSCALE designs 3D models for model railroads and dioramas. Our products are printed by DM-Toys in Germany and by Shapeways in the Netherlands and USA. The order proces at DM-Toys ist just like any other webshop. 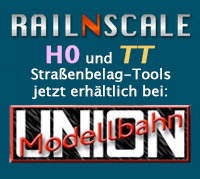 Here you can find RAILNSCALE Made by DM-Toys products. The ordering process at Shapeways is a little different. Below we explain how the order proces works. On the product page you will find an overview of all that we have to offer. Choose the product you wish to order. On our website you will find links on every product page to the product page at Shapeways. In the picture below you can see them at the red arrows. 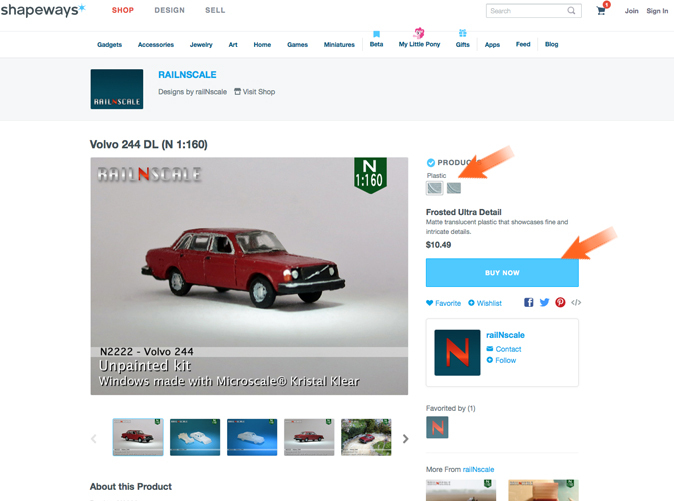 Click the “SHOP” button and you will go to the respective product in our web shop at Shapeways. On the product page at Shapeways the price of the product is shown on the right. You can also see the material in which you can have the model printed. The default material that matches the level of detail of the model, is already chosen for you. Sometimes you can choose a different material too. If you select the alternative (first arrow) the price will change immediately. Click on the ‘BUY NOW’ button (see second arrow in the image below). The product is then added to your cart. 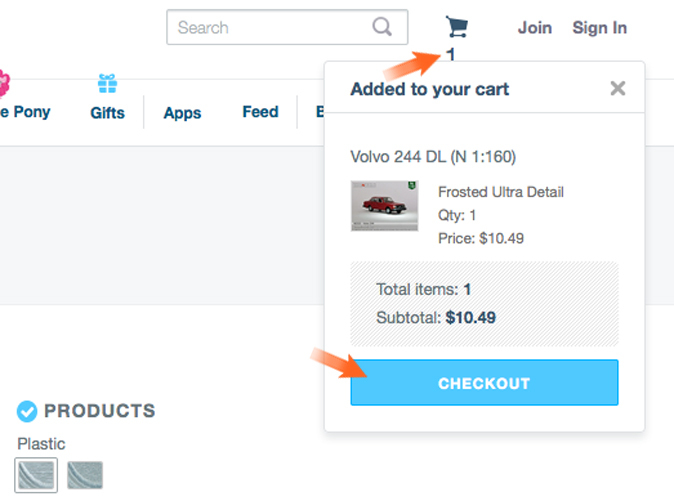 You can view the contents of your shopping cart by clicking the “CHECKOUT” button or the shopping cart (see the red arrows in the image below). Follow the steps in the ordering process (in English) at Shapeways. In the top right corner you will see the totals of your order (1). Please note that the price will automatically be adapted to the country you select (2). VAT and shipping costs are automatically added. 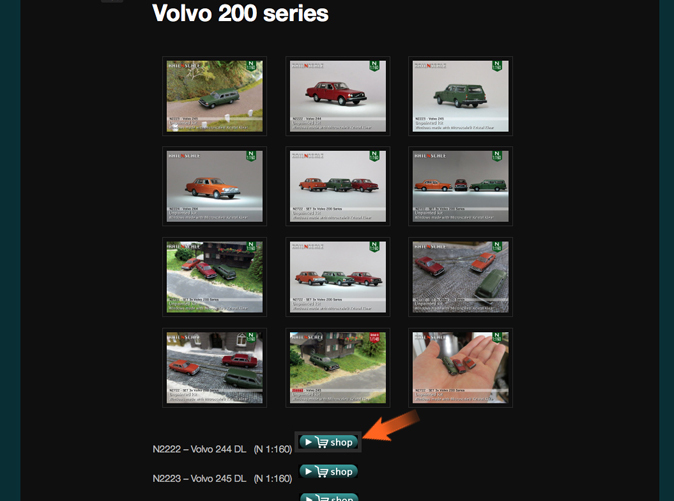 In some cases it is possible to select multiple options for your shipment (3). If applicable you can type the Shapeways Promo Code (4). Please confirm with ‘APPLY’. If applicable also a Credit or Gift Card Code can be used. Click ‘APPLY’ to confirm. By clicking ‘CHECKOUT’ (5) you’ll get to the next step. If you wish, you can create an account at Shapeways, then your data will be stored for a next order. Creating an account is not required (choose in this case option ‘GUEST CHECKOUT’). 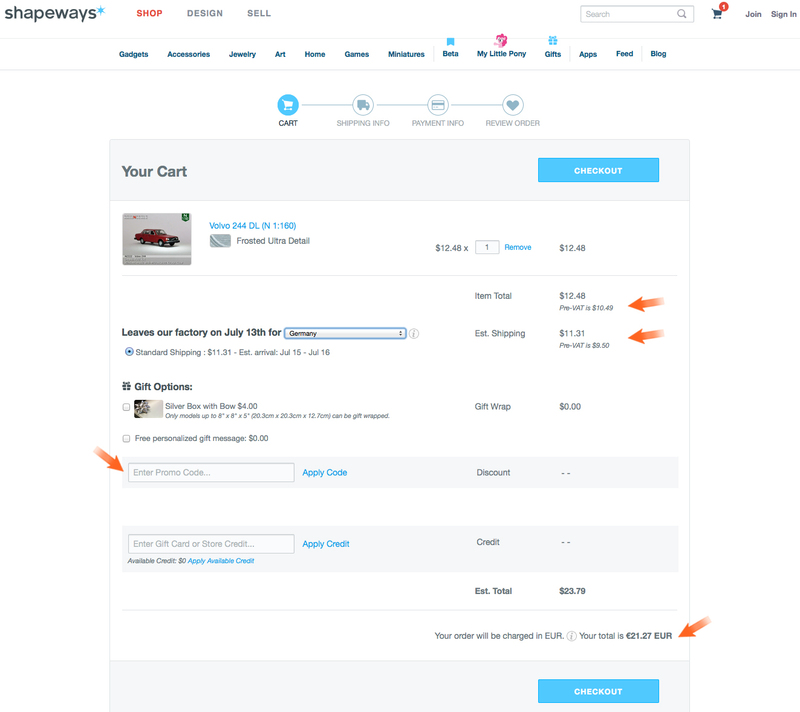 After completion of the ordering process Shapeways will 3D print the product for you. When your order is 3D printed, it is well packed in a box and sent to you. The fun part: open the package and unpack your order carefully. Then check your order. If a part is missing or damaged (see for a comparison the pictures on our website), then read here what to do and about the Money Back Guarantee from Shapeways.